Nestled in our breathtaking Agrelo vineyard, overlooking the magnificent silhouette of the Andes Mountains, the state-of-the-art winery has birthed Ojo de Agua’s most prized wines. Every detail constructing the winery was strategically planned by our enological and production team, headed by distinguished winemakers Marcelo Pelleriti and Noelia Gonzalez. The design’s most important denominator is functionality. Through technology, capacity and circulation, our team strived to preserve the harmonious equilibrium between the fruit, the wines, and the winemaker. The custom designed winery is equipped with an efficient infrastructure of two production plants that produce complex and sophisticated blends: one plant for elaboration and aging, and the other for bottling and product storage. The winery was developed in order to produce three well-defined lines of organic wines: Premium, High-End, and Ultra Premium. For the two high-end lines, grapes are received in a double belt system for cluster and grape selection. 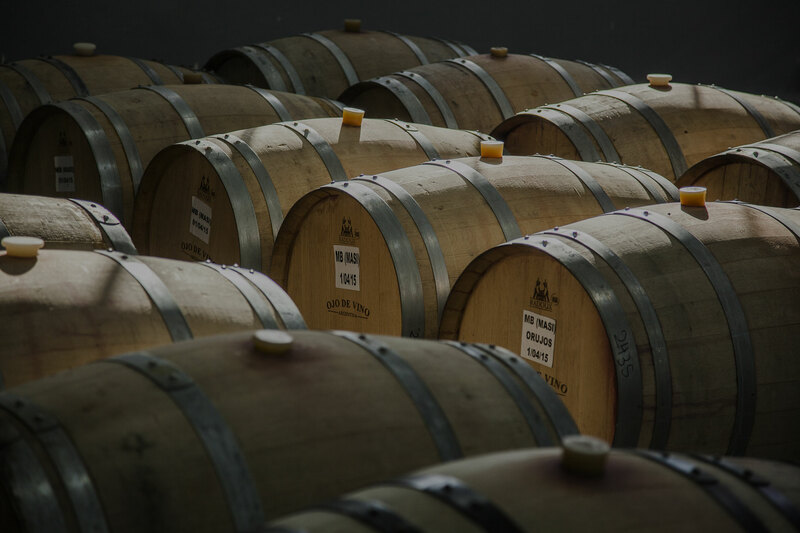 Then, the wines are stored in stainless steel tanks, concrete vats, concrete eggs (manufactured ad-hoc), or French oak barrels, under automated temperature controls. The state-of-the-art technology and modern equipment enables the winery to run efficiently with a sustainable workflow.